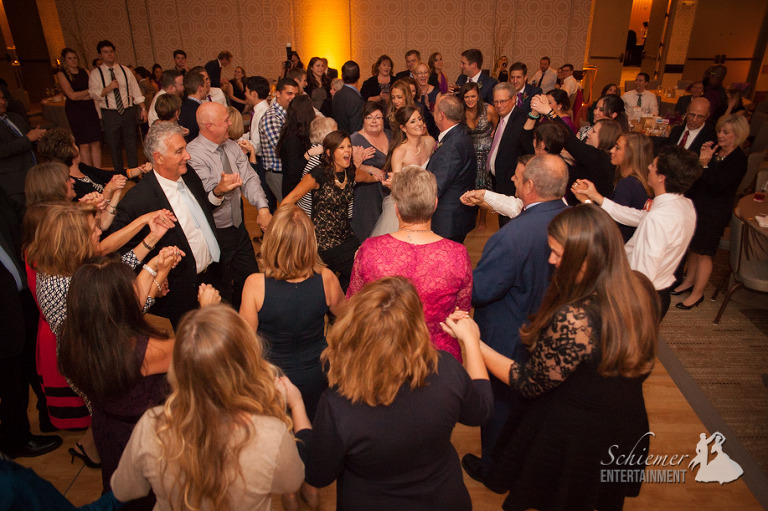 Music plays a huge part of every wedding day. 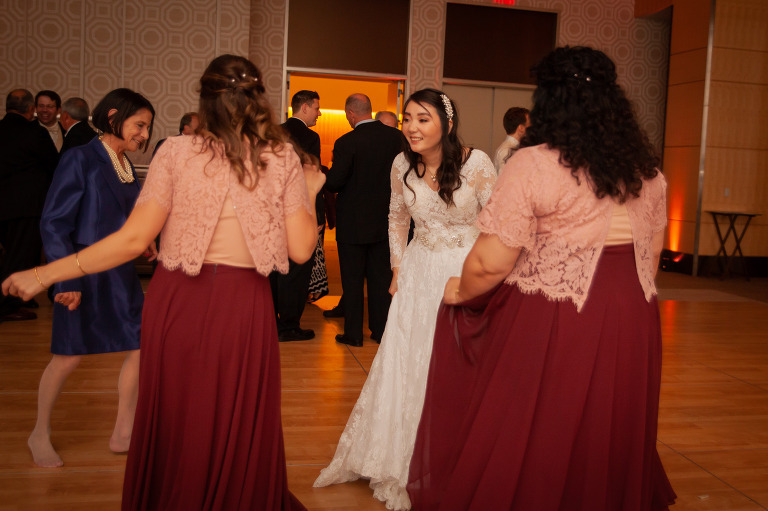 The songs that are playing while getting ready to the very last song of the night makes a soundtrack that will be unique to only your special day. Even if you have songs that aren’t perfect for dancing, it’s important to find ways to include them where ever you can. 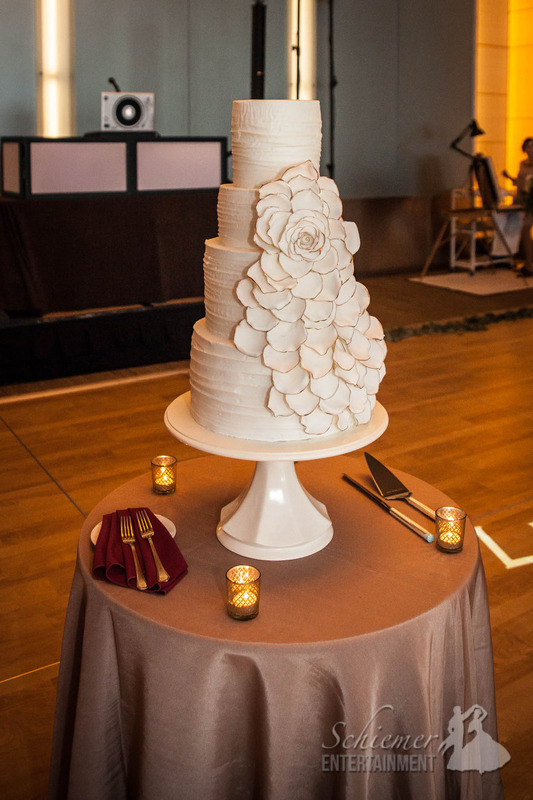 Cocktail, entrance songs, first dance, dinner, cake cutting and the bouquet toss are all chances to include songs that are special to you. 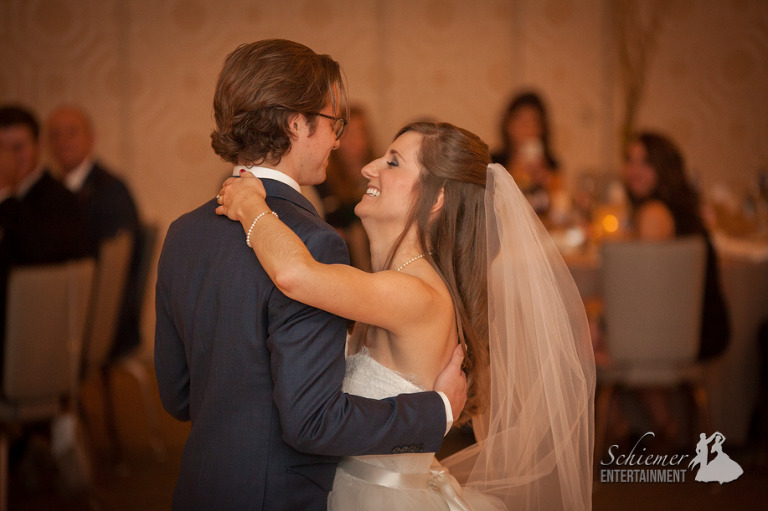 Sarah and Brian’s playlist included some great tunes to help make their day extra memorable during their celebration at the Fairmont Pittsburgh. 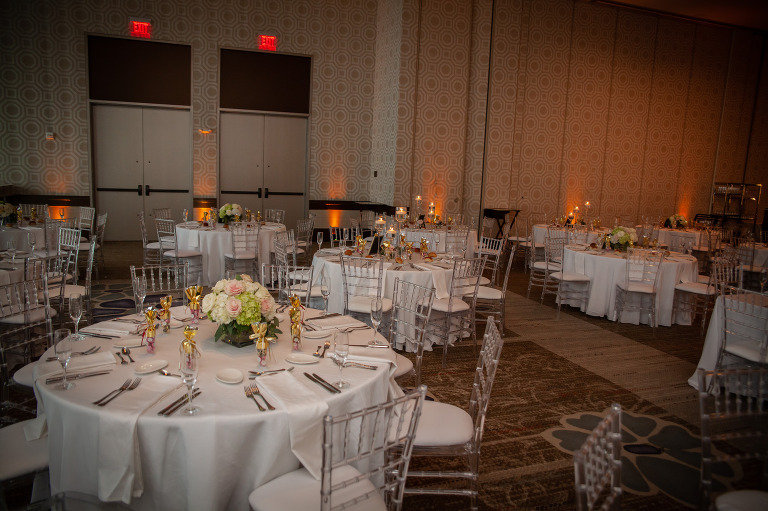 I simply love the ballroom at the Fairmont, it’s the perfect space for a great evening with friends and family! Working with Susan and Brian was great fun, as we all share a passion for both music and semi-geeky collectables. 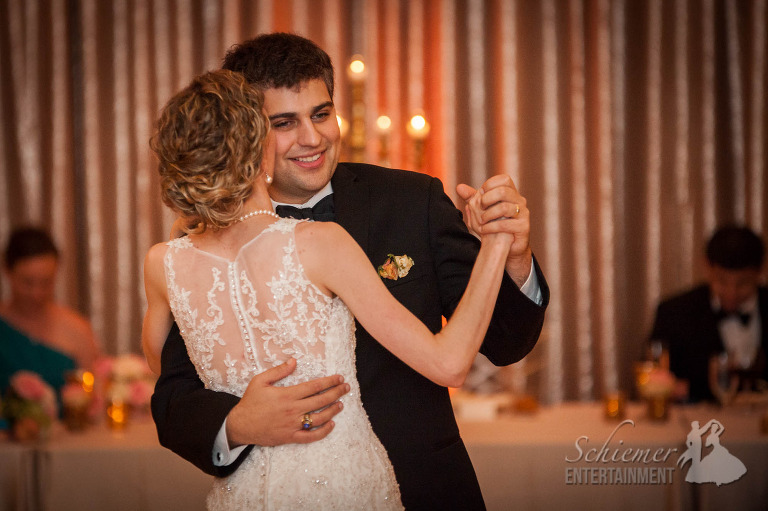 It was great to see their special day come together so perfectly as everyone enjoyed visiting, eating and, of course, dancing! 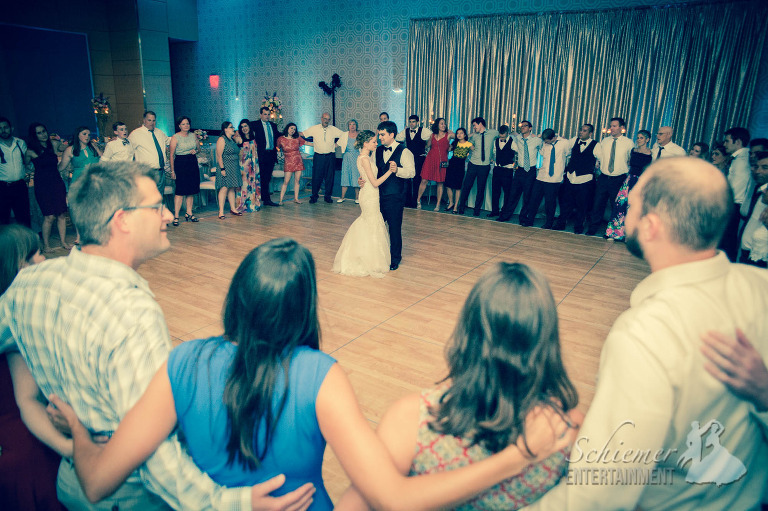 The newlyweds were happy to see their guests having such a fabulous time to a truly wide variety of music. Their soundtrack included some of their favorite songs, and others that were played just for the benefit of friends and family. At the end of the night, the happy couple was clearly pleased just to watch those closest to them having the time of their lives. 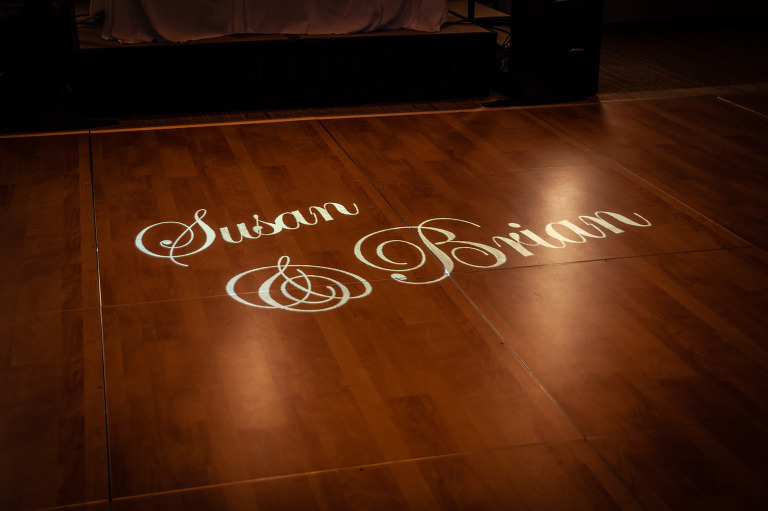 One of the things you can do to help make your wedding day more memorable is to include a few special, unique ideas that will keep your guests talking for weeks after the big day. 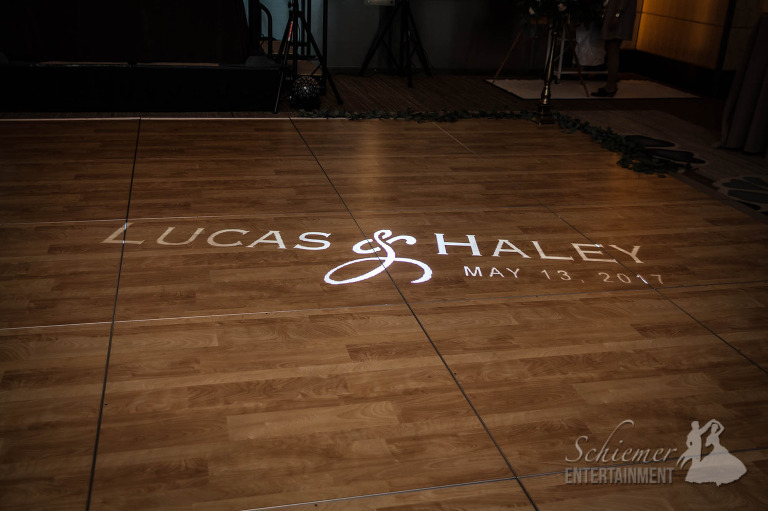 Haley and Lucas chose some of the most fun and special touches for their wedding reception held at the beautiful Fairmont Pittsburgh. 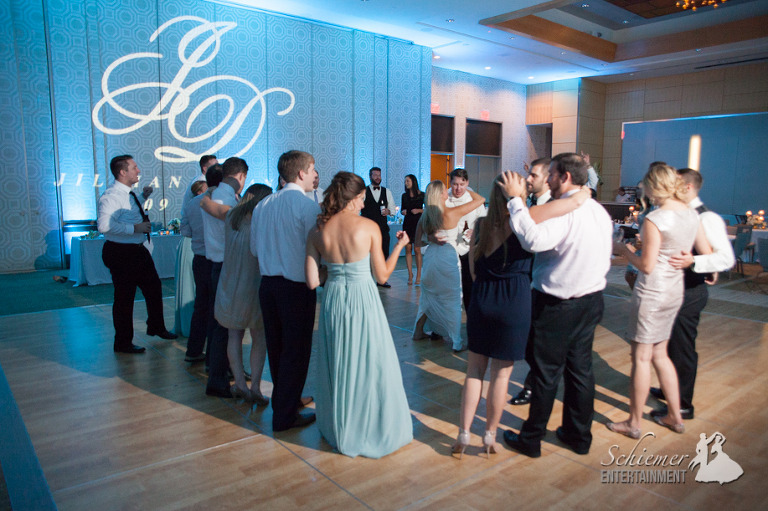 Not only did they choose a wonderful venue and great uplighting colors. They also included fantastic food stations, selfie photo booth, and a late night soft pretzel bar. To help capture they night, they had an artist from Celebration Paintings who painted an amazing piece of artwork throughout the reception. Of course, Haley and Lucas also selected some wonderful music for their guests to enjoy. 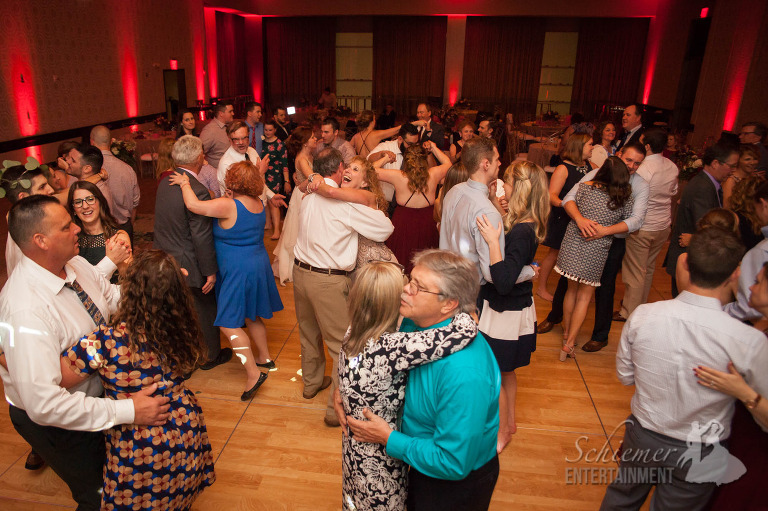 The dance floor never let up and at the end, no one was ready to leave. 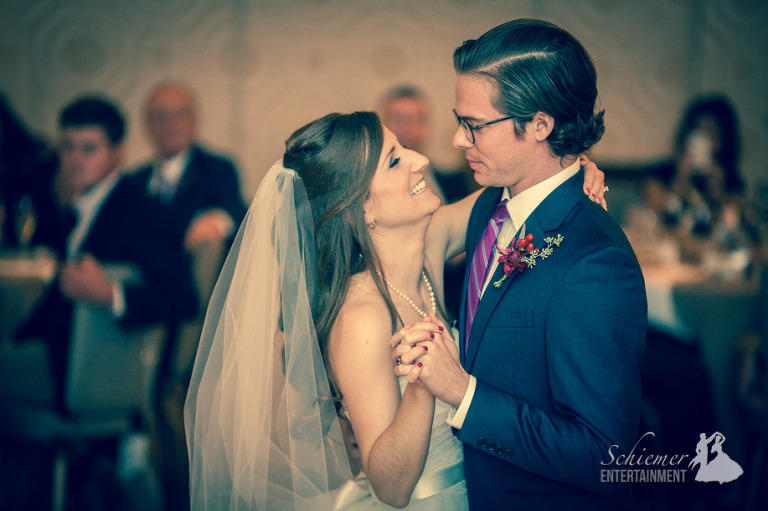 The newlyweds put together the right mix of elegance and fun that I’m sure no one will ever forget. They also made the perfect choice for their honeymoon, as they head off to Greece and Italy. One big wedding question no one can answer for certain is “How will the reception end?”. While you can plan for a final song with tons of guests, or just let the music play until the last few friends and family members remain, you never know for sure until the time arrives. 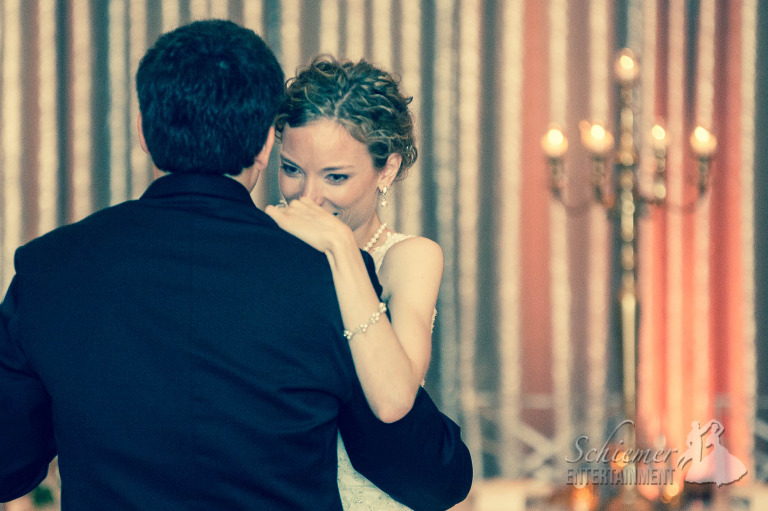 Christine and Stephen choose to wait and see what felt right, and the results could not have been more perfect! 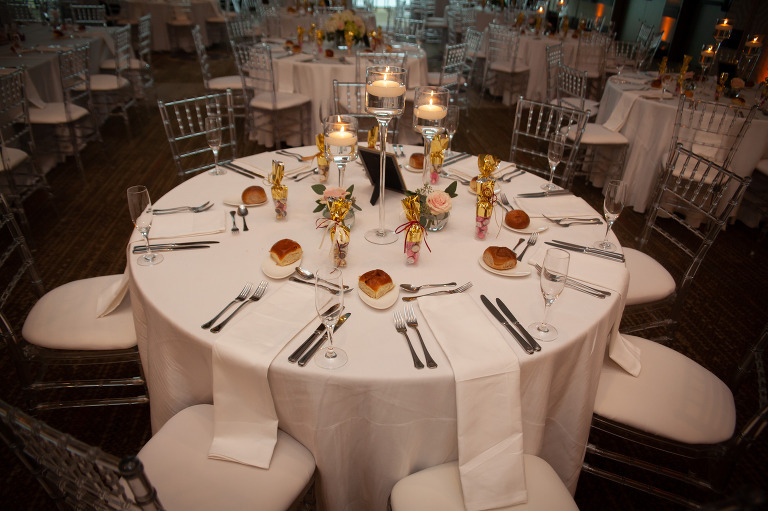 Their reception was held at the beautiful ballroom at the Fairmont Pittsburgh. 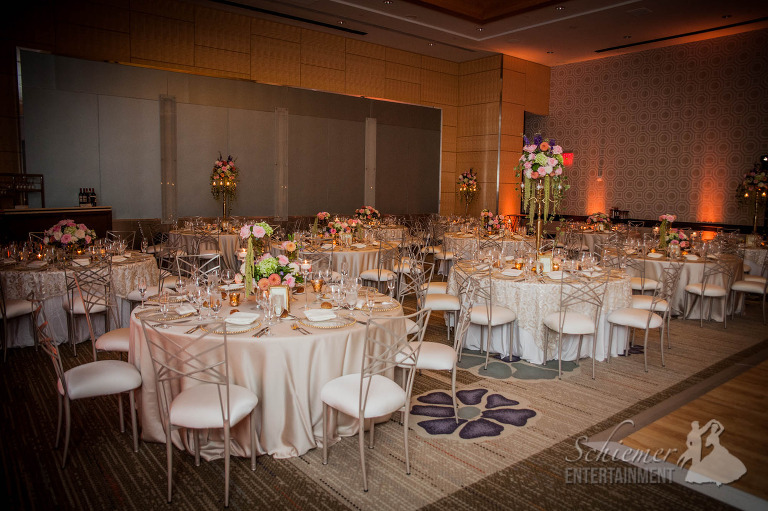 I was so happy they chose to have me provide uplighting, which always adds a wonderful touch to the room. Christine and Stephen’s guests had clearly come to celebrate, so no one was shy about joining in the fun. As the night drew to an end, everyone came to the dance floor for a big sing-a-long to Billy Joel’s “Piano Man”. It could not have been a more suitable ending for such a wonderful evening. The happy couple will soon head off to Aruba for a romantic honeymoon. I think every couple wants to treat their guests to a wedding day that is completely unforgettable. Family and friends should leave the celebration slightly disappointed since they could have stayed and danced until dawn. 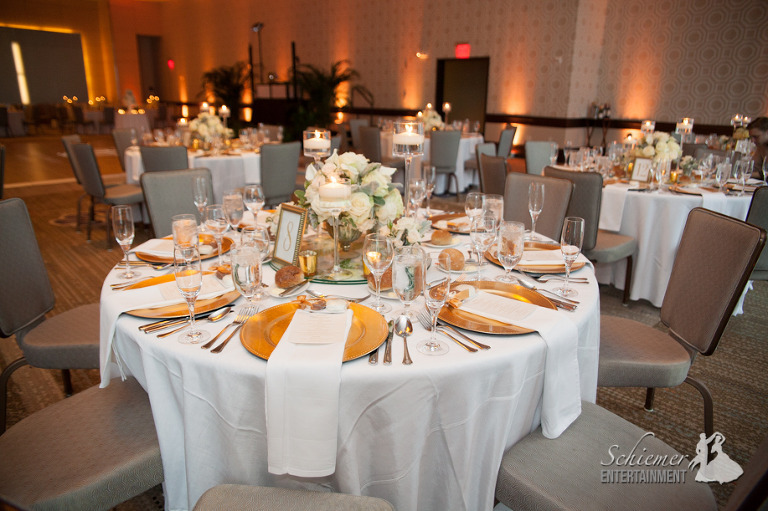 Madison and Jay gave their guests the party of lifetime at their elegant reception at the Fairmont Pittsburgh. 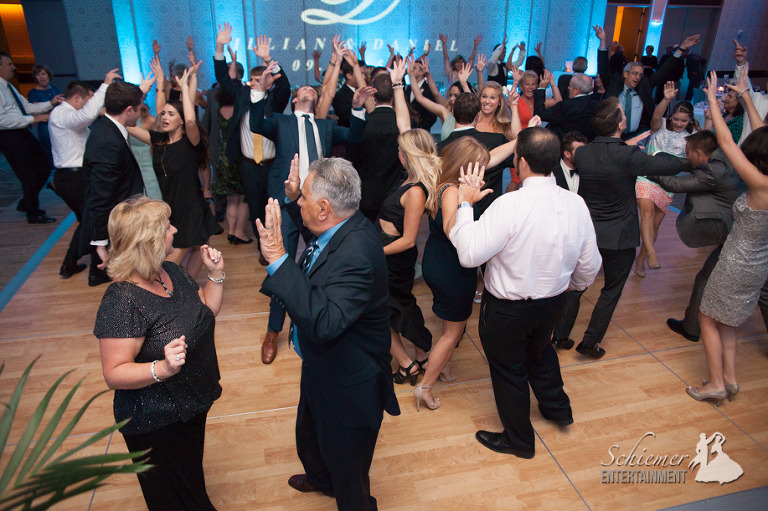 Lots of couples feel that their friends and family love to dance and party, but Madison and Jay’s guests filled the large Fairmont dance floor immediately and kept the energy going strong all night long. 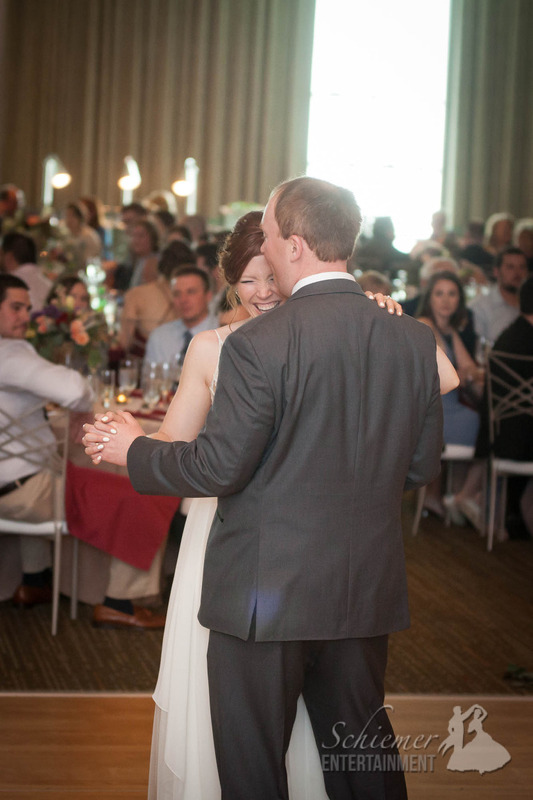 I love it when guests share the excitement with the newlyweds and help make the perfect celebration. Madison and Jay’s wedding day was certainly one that no one will forget. The happy couple is soon off to Aruba to unwind after their epic wedding day. 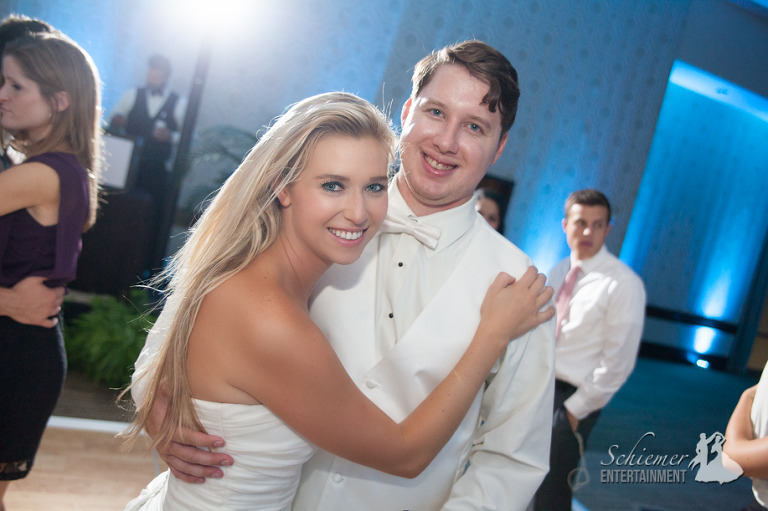 I talk a lot on this blog about how great it is when a couple knows what they want to make their wedding day special. For some, it’s fantastic food, or a great venue. For others, it’s the perfect mix of music, or the right style of lighting. 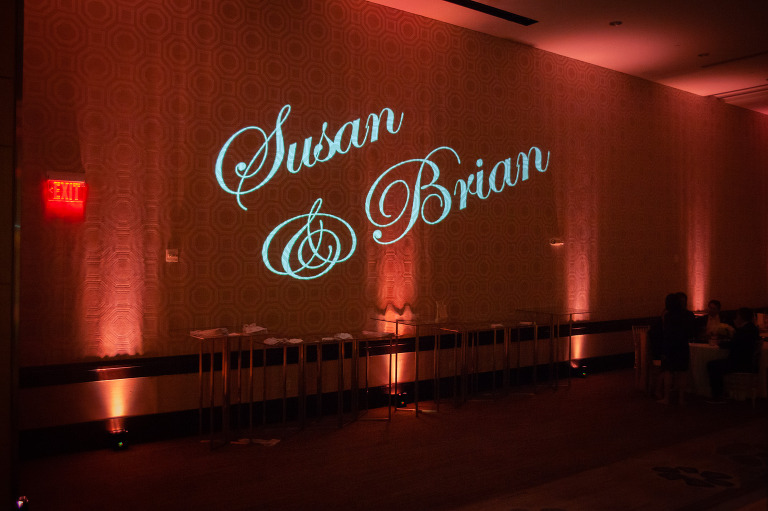 Somehow Jill and Dan were able to nail all four of these elements for their elegant and fun wedding at the Fairmont Hotel in downtown Pittsburgh, PA.
Jill and Dan made excellent choices for both their uplighting and monogram. The ballroom at the Fairmont looked incredible during both dinner and dancing. 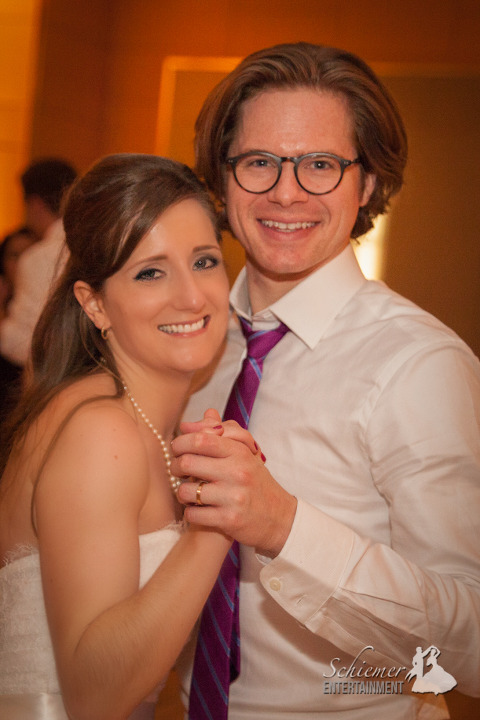 The newlyweds made some wonderful and unique song choices, which truly matched both their style as well as those of their friends and family. Guests were even singing along during dinner! The end of the evening came way too quickly, but it was so fun that we squeezed in a few more songs before the lights came up. Jill and Dan, along with their families’ help, put together a great celebration, the memories of which they will cherish forever.